The most technically advanced outer shell on the snow is here. And it’s made specifically for the world’s most demanding female riders. The all-new Alpine Parka features a unique combination of GORE-TEX® fabric technologies to deliver maximum toughness, breathability and the confidence of our GUARANTEED TO KEEP YOU DRY Promise®. Patterned aggressively for highly active riders, the Alpine incorporates leading-edge features not found anywhere else. Perfectly matched to the KLIM women’s line of performance layering gear, the Alpine is exactly what aggressive riders have been asking for: unbeatable shell performance, high-end features, supreme function, durability and accessories. 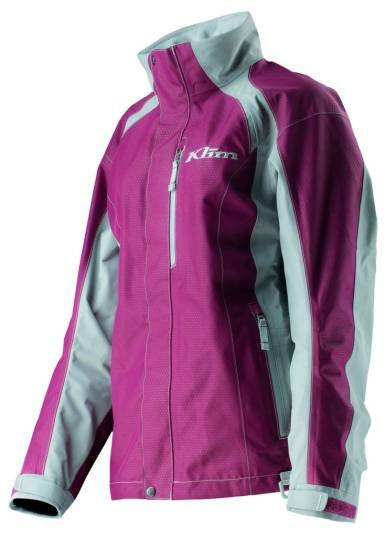 This is THE jacket for the real female rider who stops less and rides more.